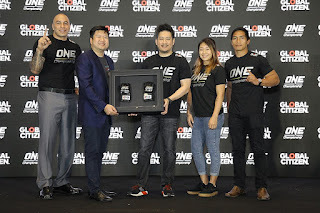 Singapore: The largest global sports media property in Asian history, ONE Championship™ (ONE), today announced a partnership with Global Citizen, an international advocacy organization with the goal of ending extreme poverty across the world by 2030. The partnership launching at ONE’s upcoming event in Manila, Philippines on 26 January, will harness the power of ONE’s platform to engage millions of martial arts fans around the world to support initiatives and find solutions to the issues associated with extreme poverty. 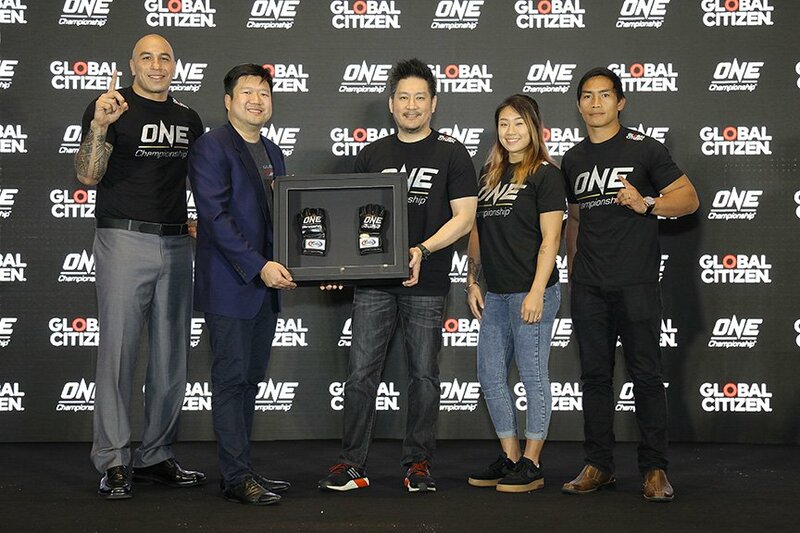 Global Citizen and ONE will collaborate across 24 live ONE events scheduled in 2018, and various outreach activations throughout Asia. Fans will have the opportunity to take action and engage with specific policy areas including, education, food security, hunger and nutrition, global health, gender equality and empowerment. The first action ONE fans can take will be centred on global education. Fans will be able to call on donor countries such as Australia, New Zealand, South Korea, Japan, Singapore, Malaysia, and India, to attend the Global Partnership for Education’s (GPE) replenishment conference in Dakar, Senegal on 2 February 2018, and make a commitment to GPE to support better education for all. Currently, 264 million children around the world are missing out on an education. Over half are girls, and over 75 million have had their schooling disrupted by conflict or natural disasters. At the replenishment conference, the GPE will raise much needed funds that will allow it to continue to support quality, inclusive education to hundreds of millions of children around the world. Headquartered in New York with offices in Canada, Australia, Germany, and the United Kingdom, Global Citizen was founded in 2012 with the goal of building the largest platform where people can learn about issues, take action on what matters most, and join a global movement working to end extreme poverty by 2030. Since then, millions of Global Citizens around the world have taken over ten million actions, which includes millions of emails, tweets, petition signatures, and phone calls targeting world leaders to end extreme poverty by 2030. To date, the actions by Global Citizen’s global community, along with its high-level advocacy efforts and various partners, have resulted in 130 commitments and policy announcements from leaders, including financial aid valued at over US $35-billion, that is set to affect the lives of over 1.3 billion people.